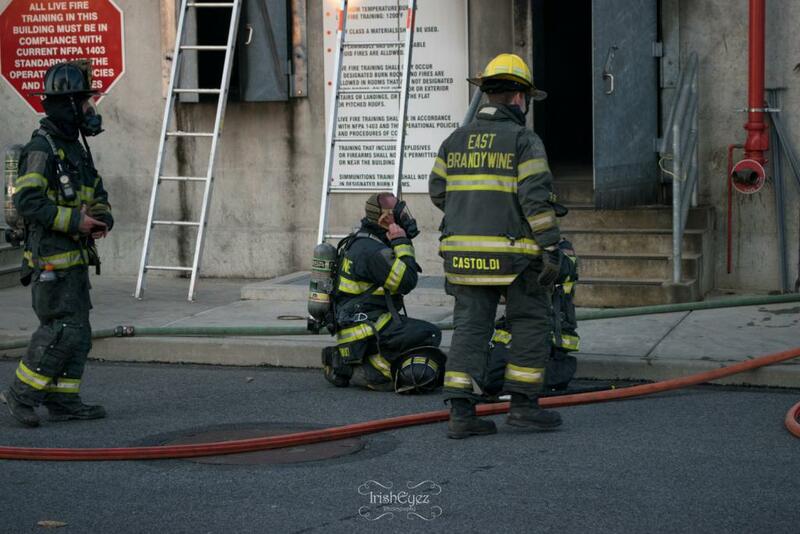 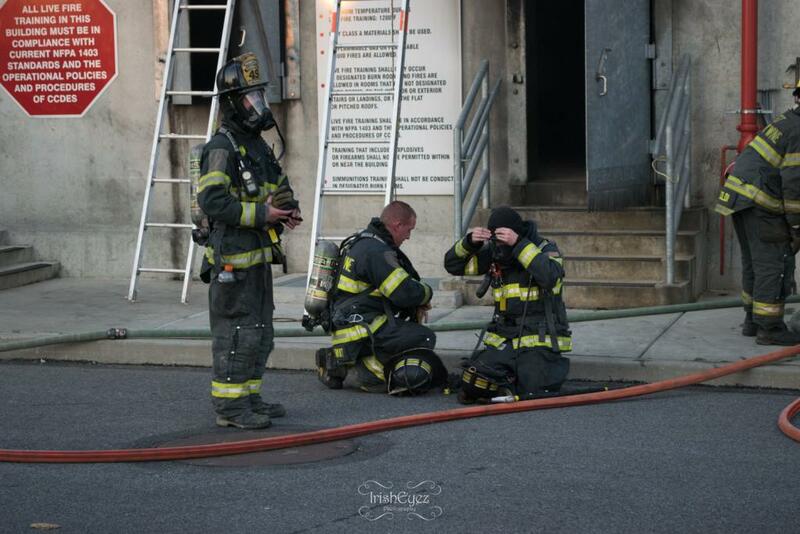 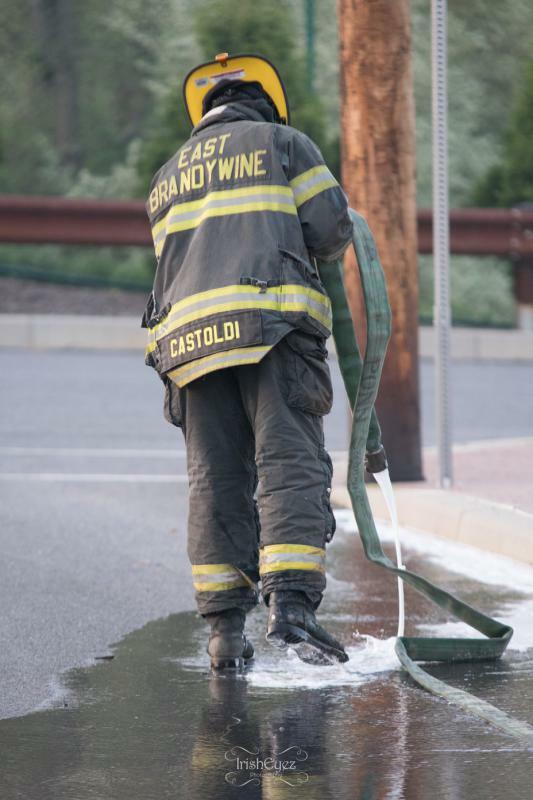 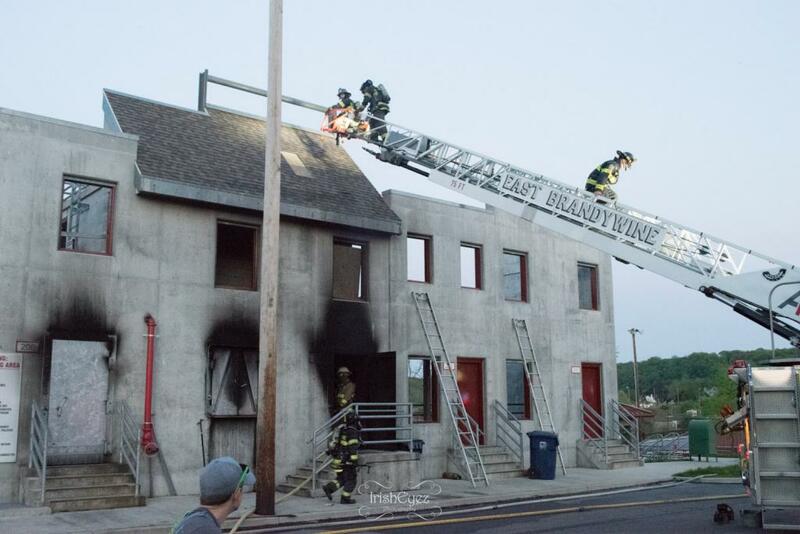 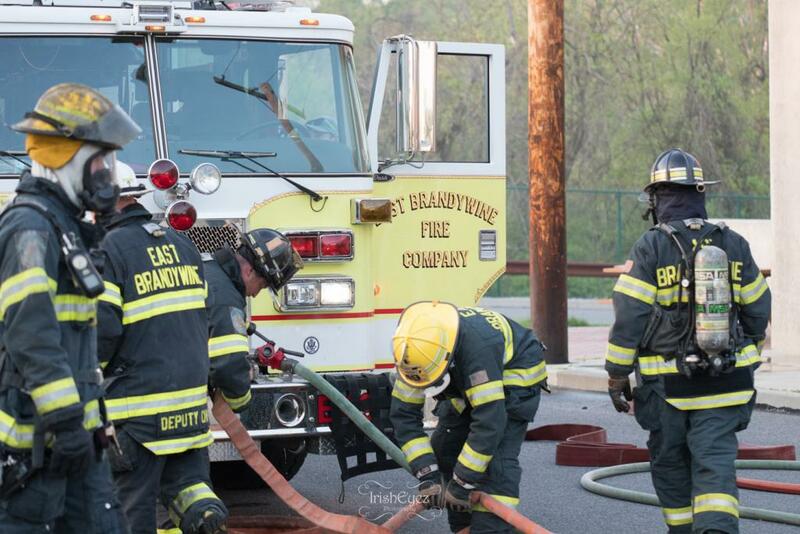 On Wednesday evening May 9th East Brandywine Fire Company volunteers participated in live burn training. 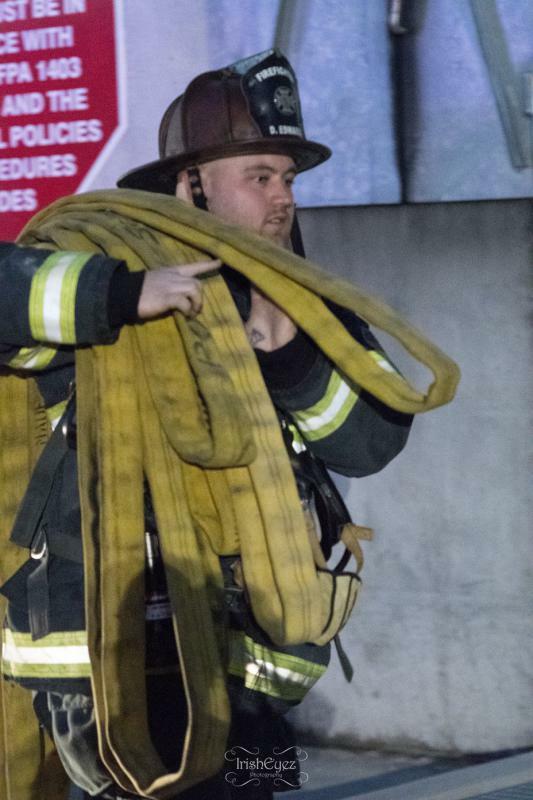 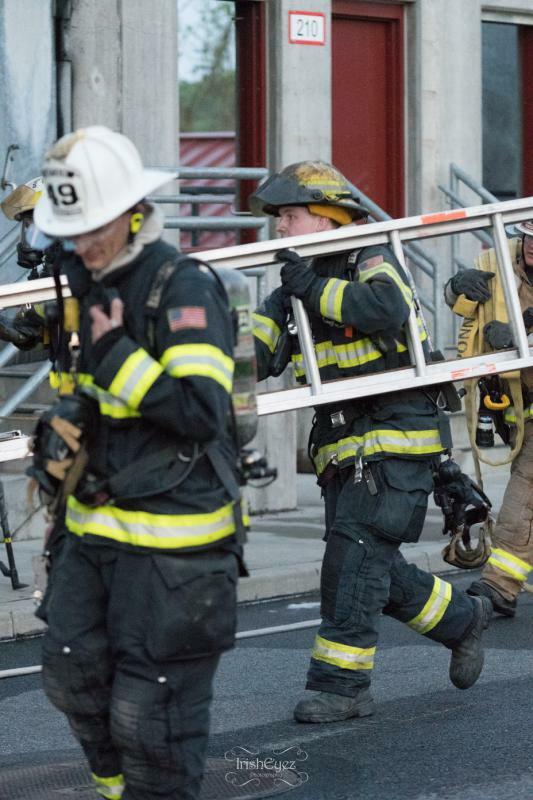 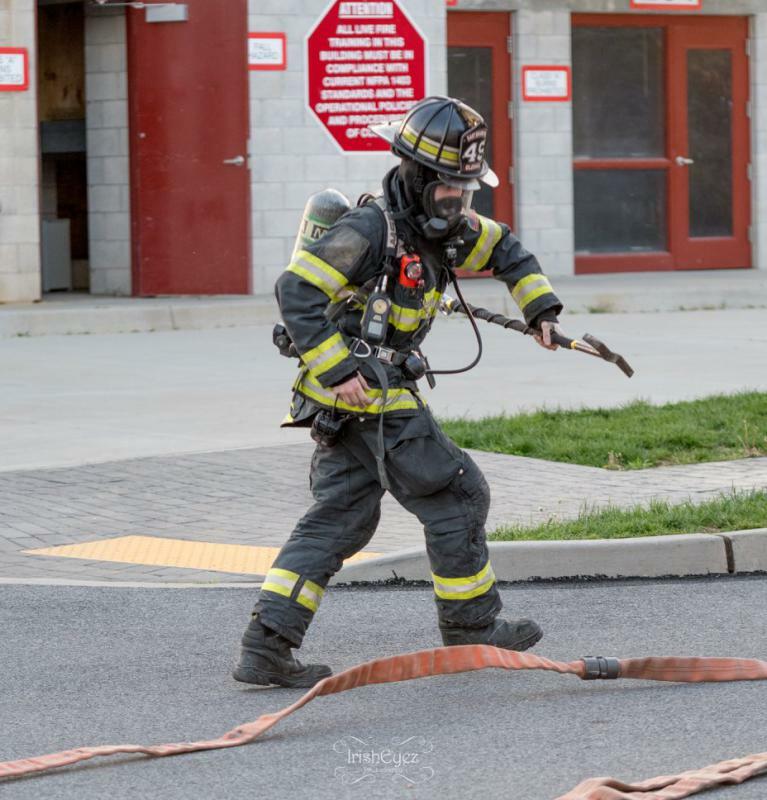 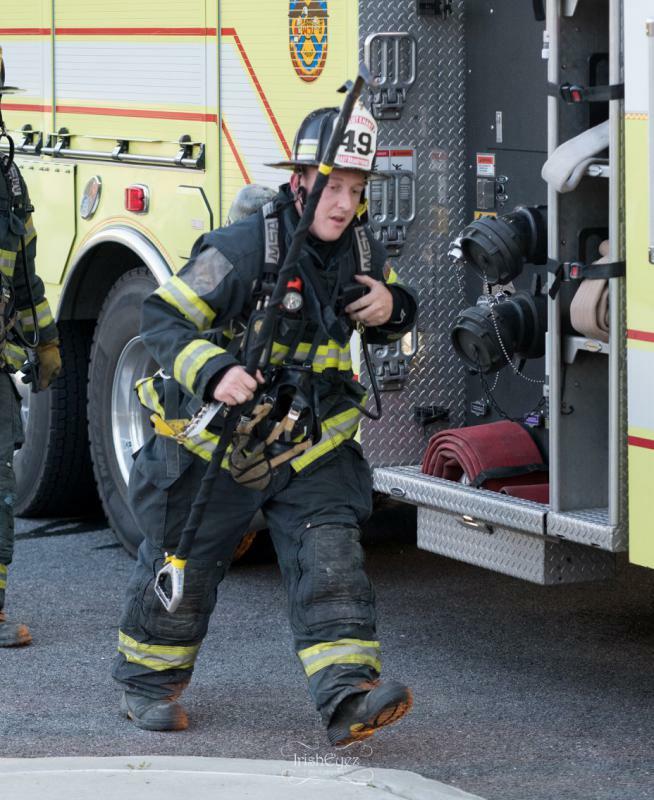 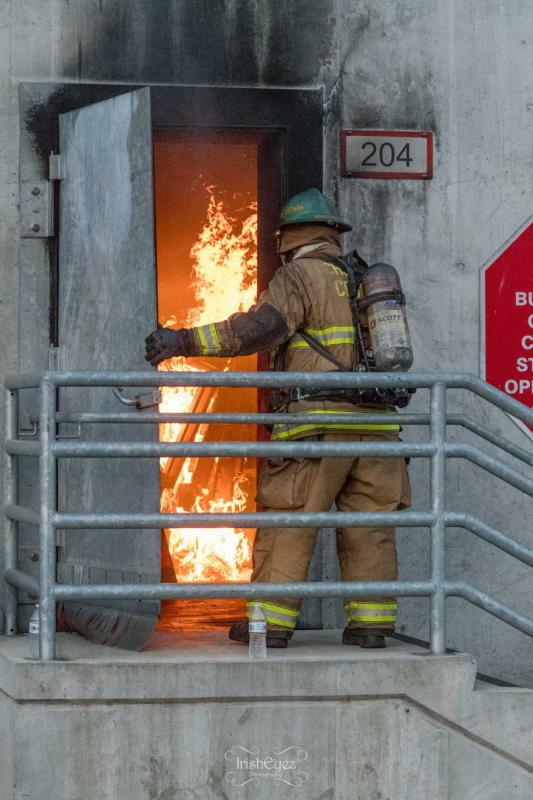 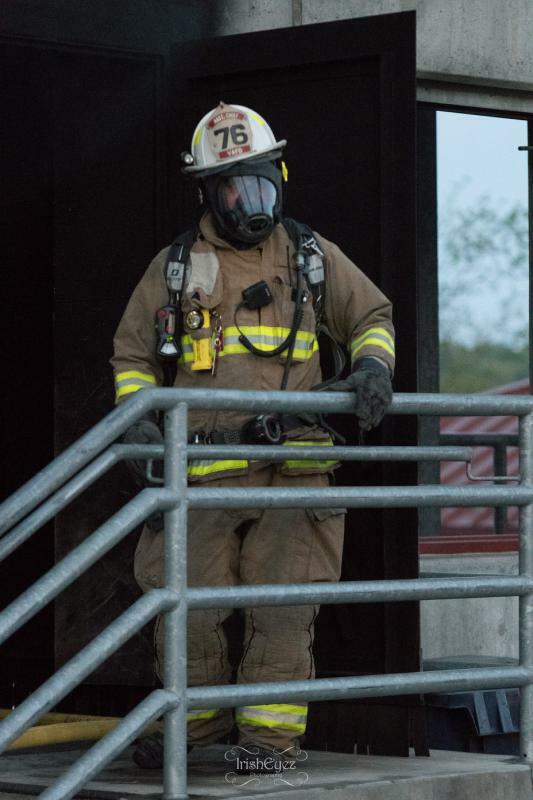 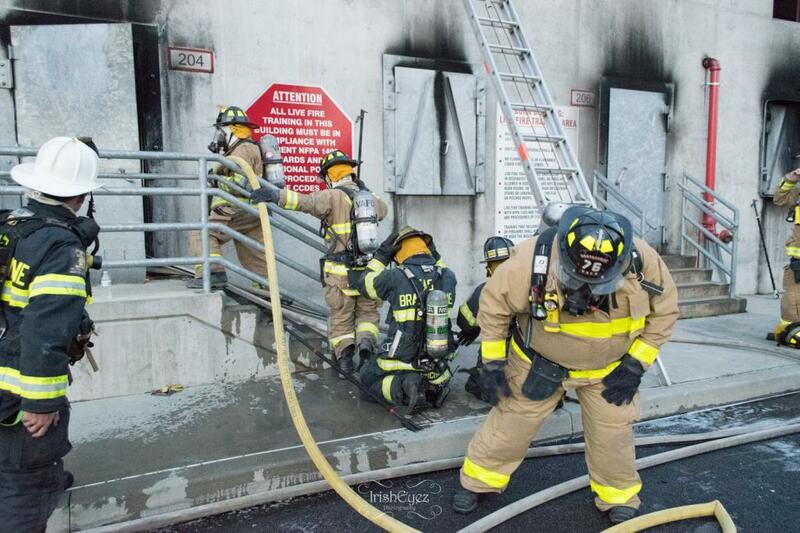 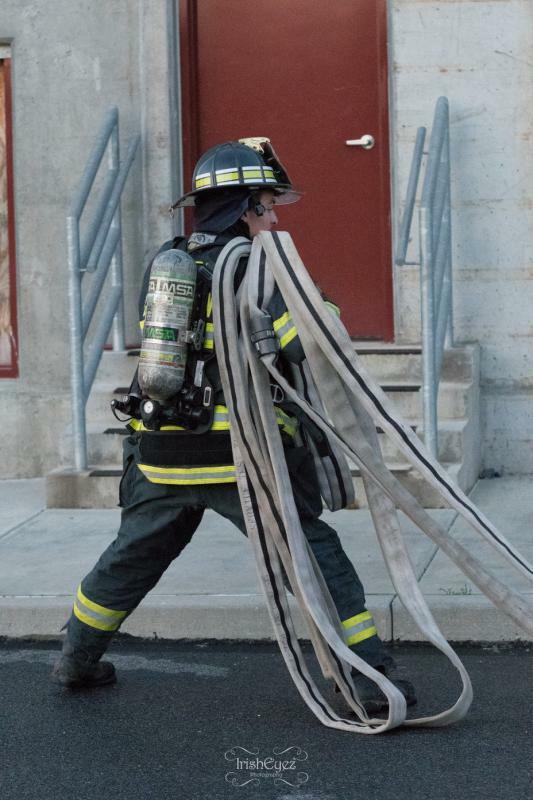 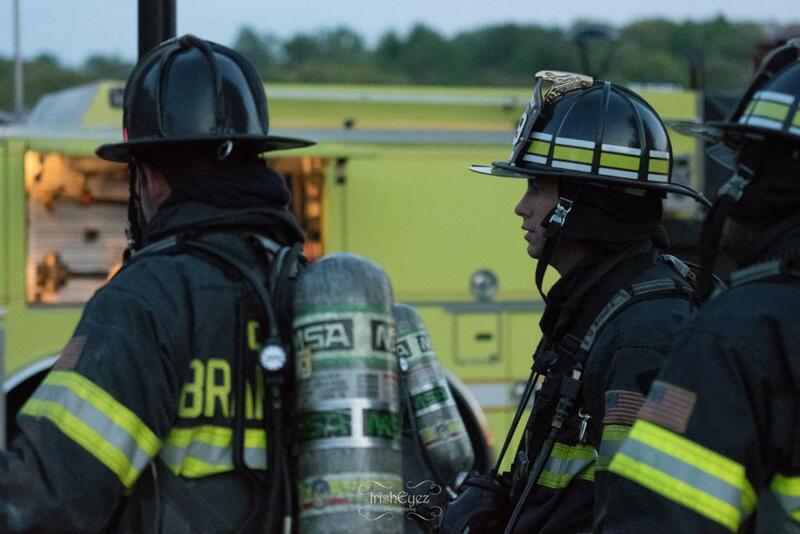 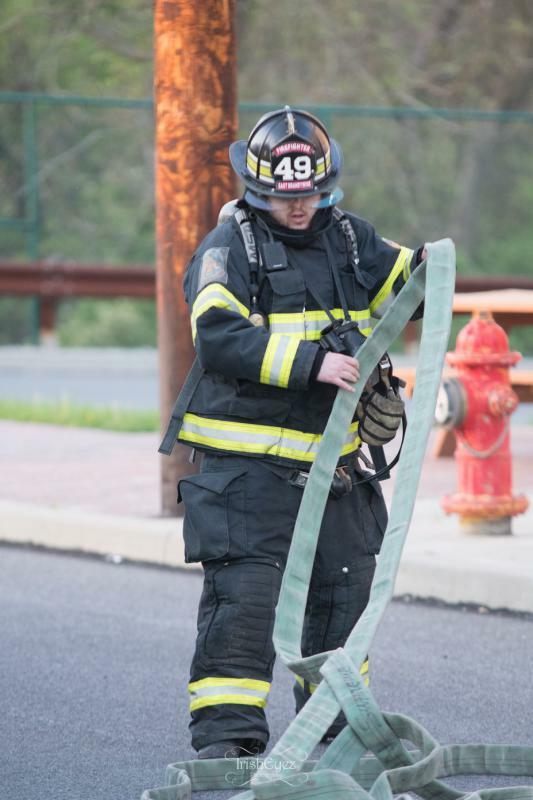 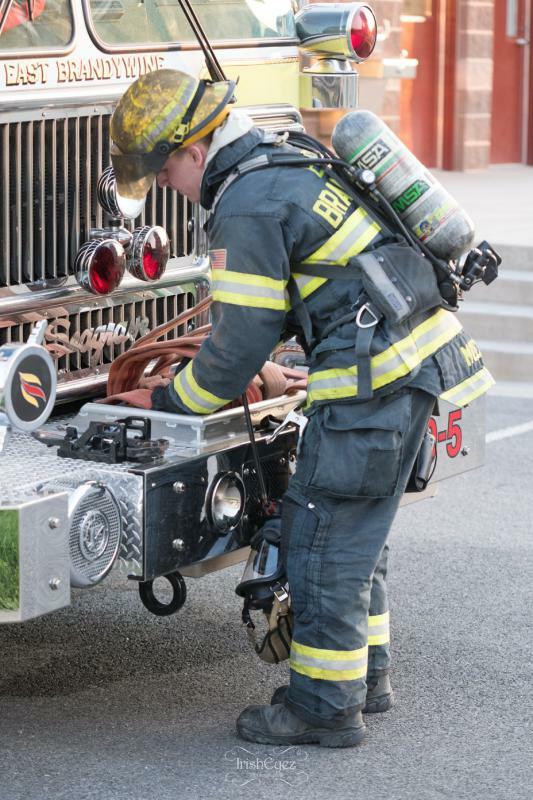 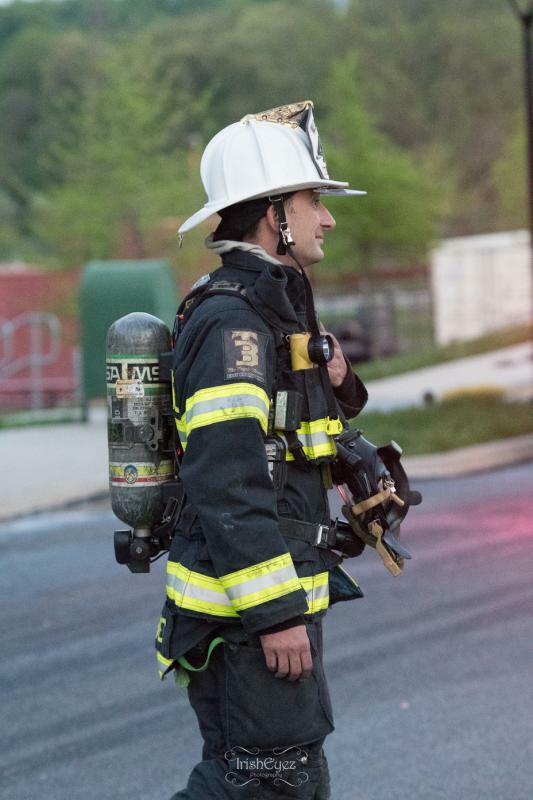 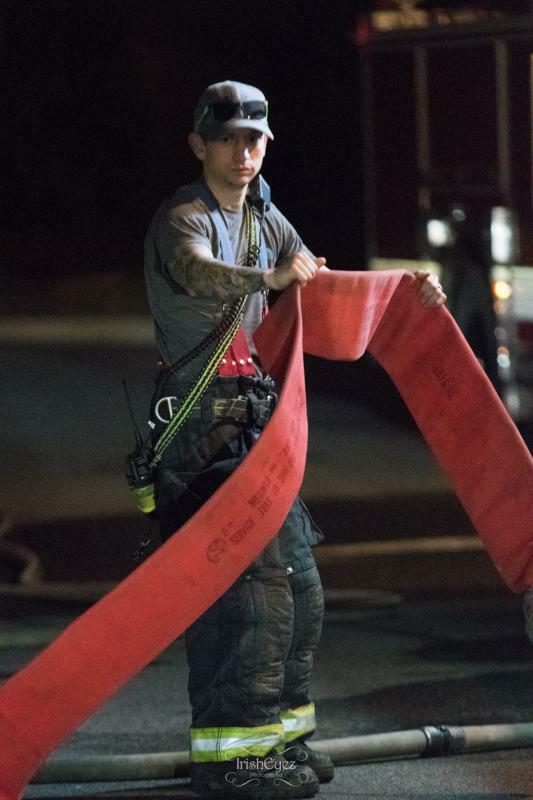 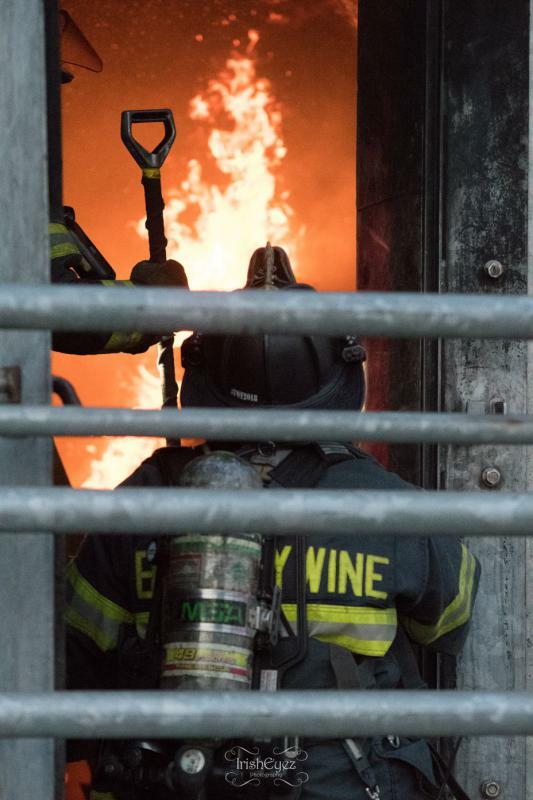 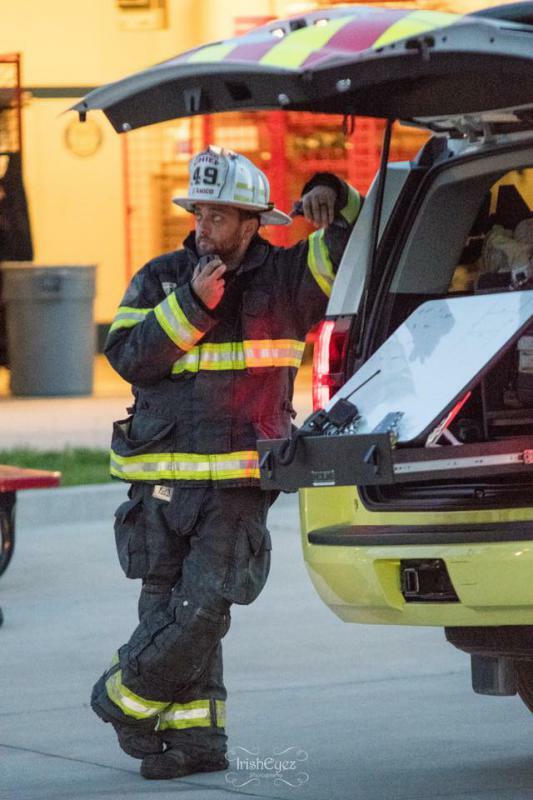 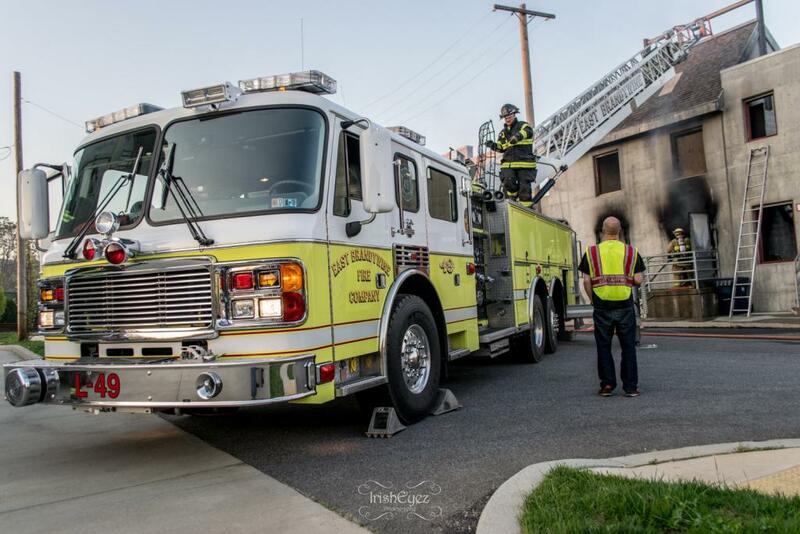 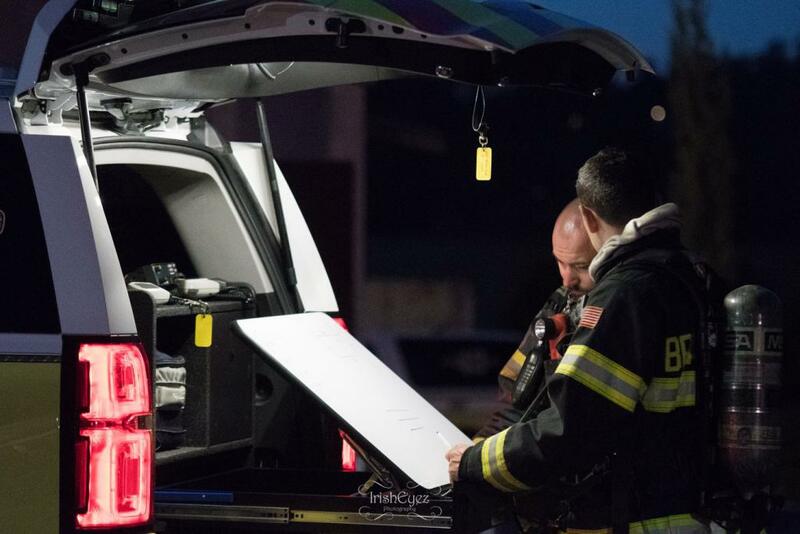 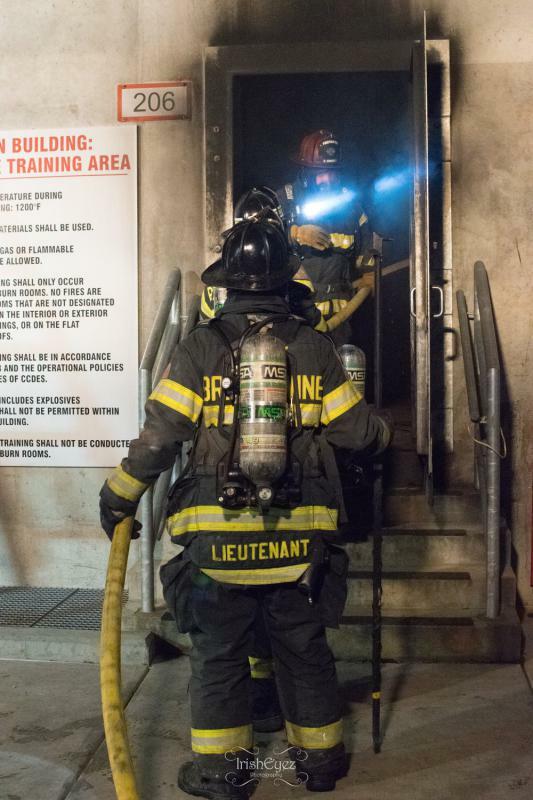 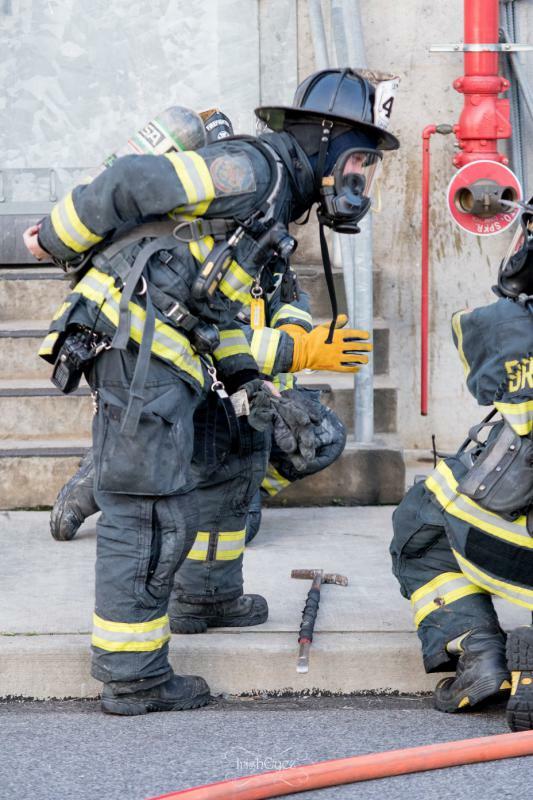 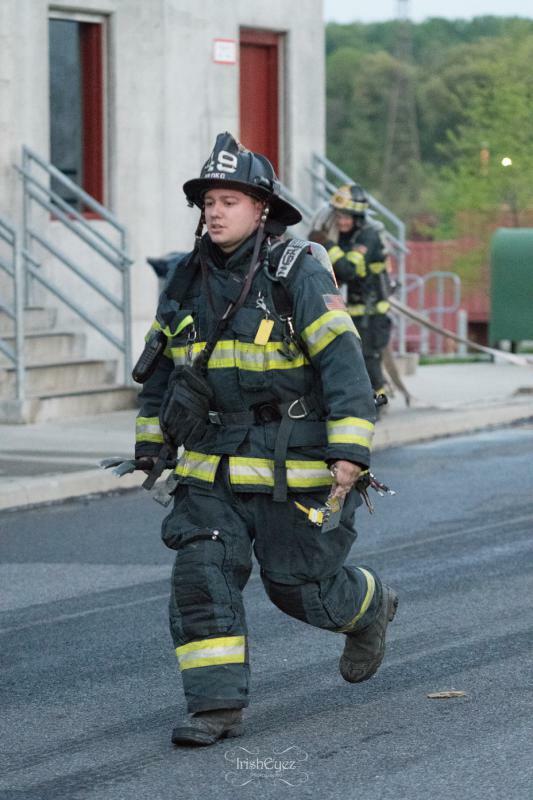 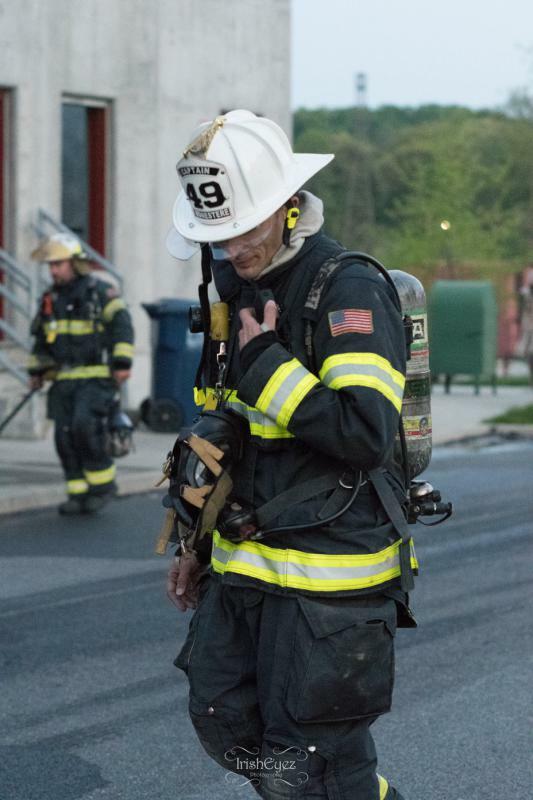 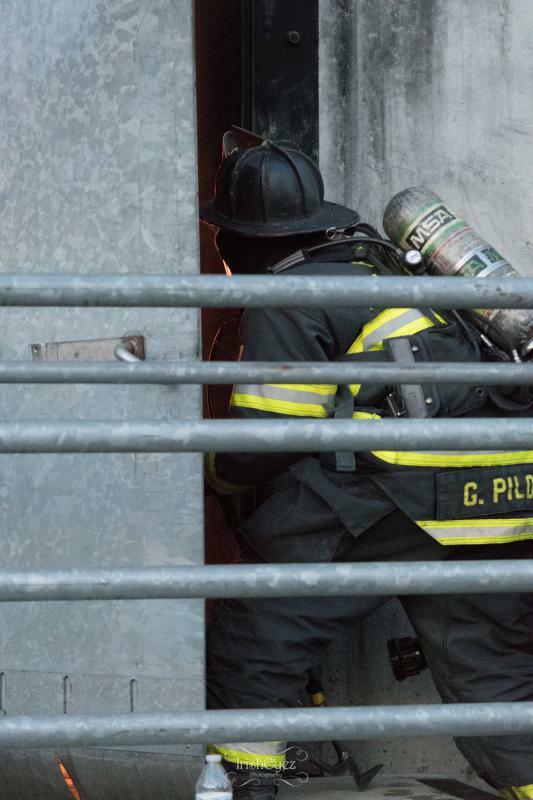 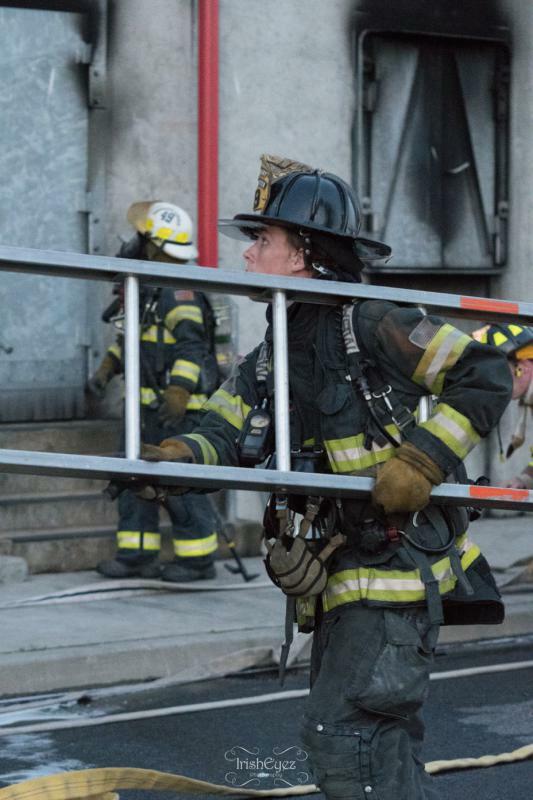 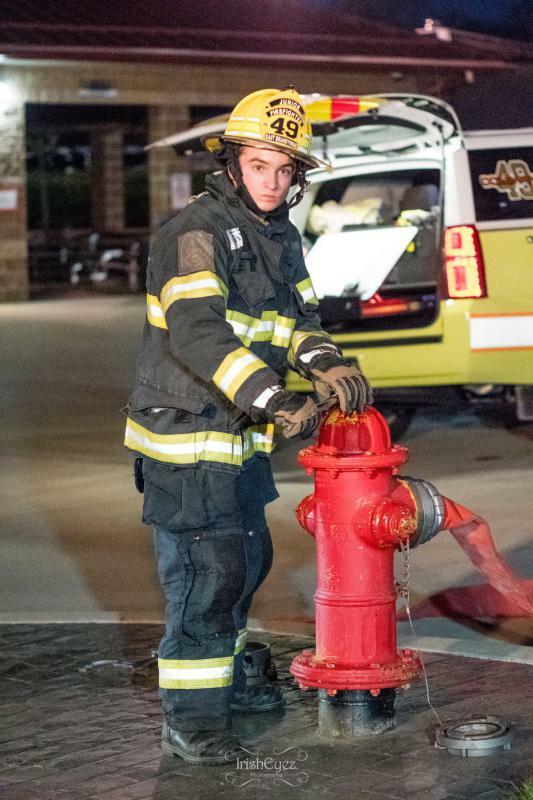 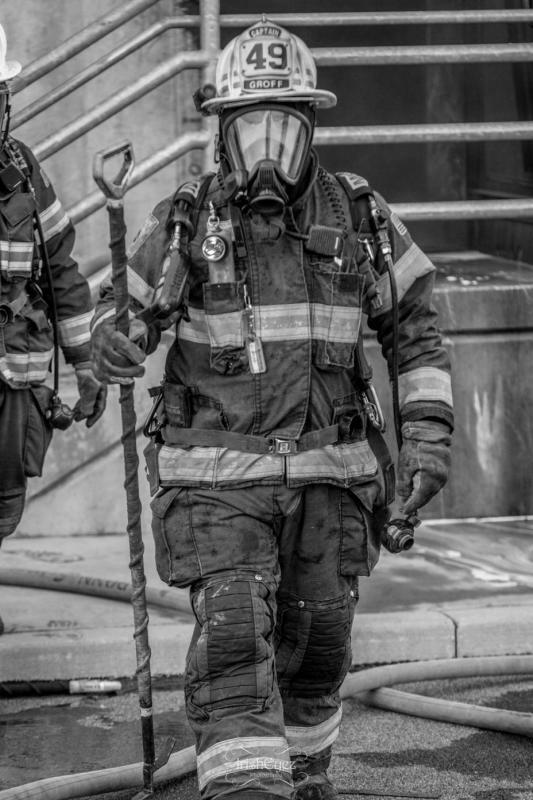 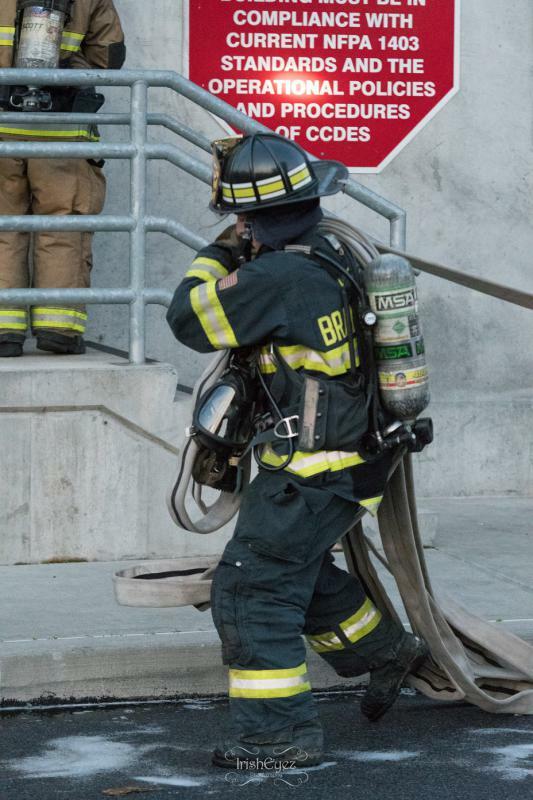 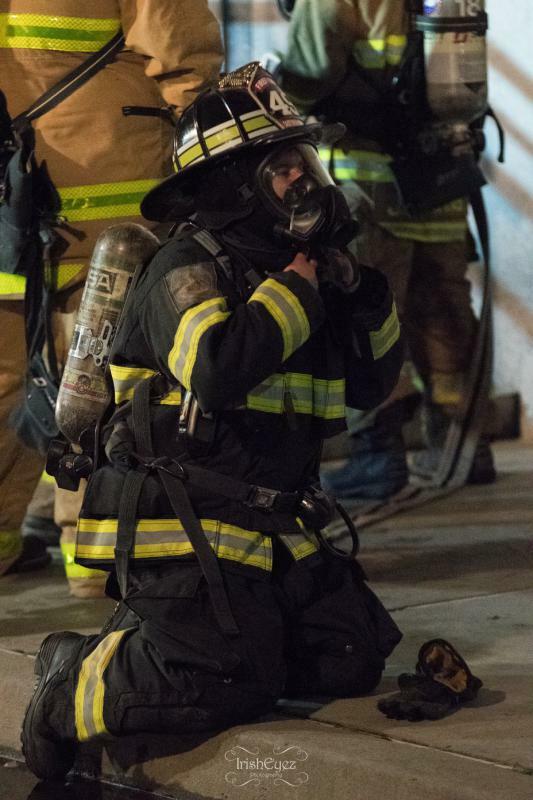 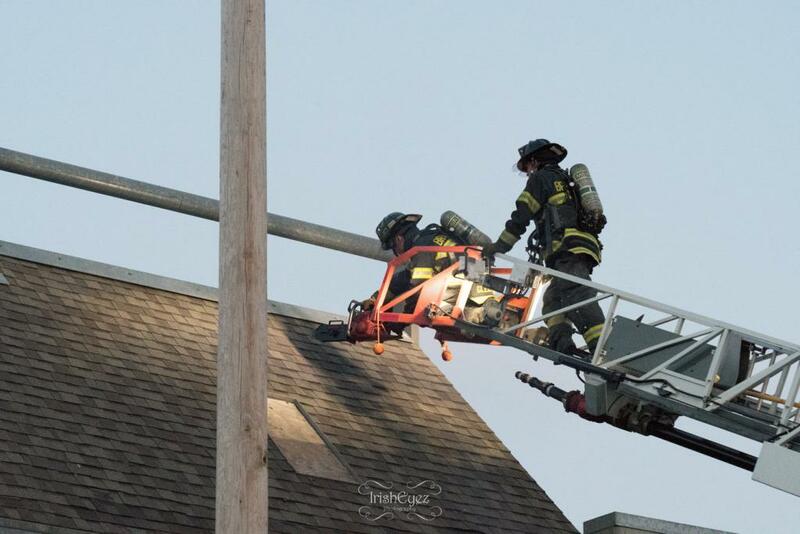 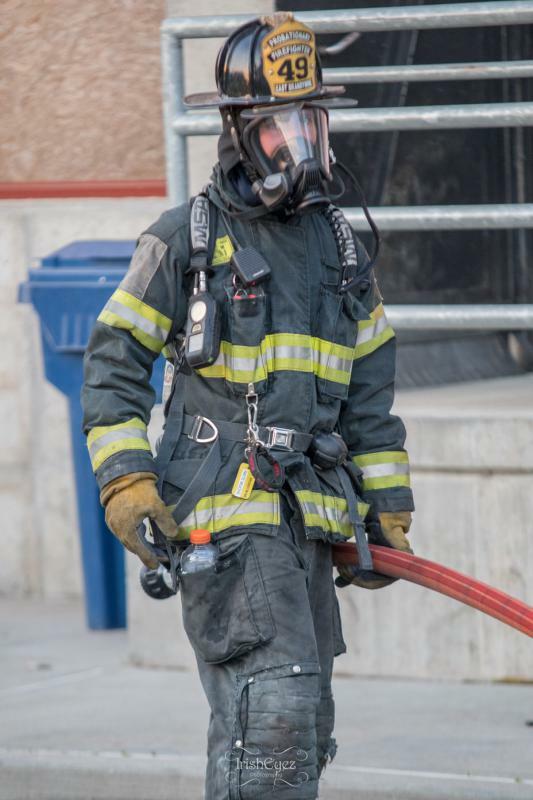 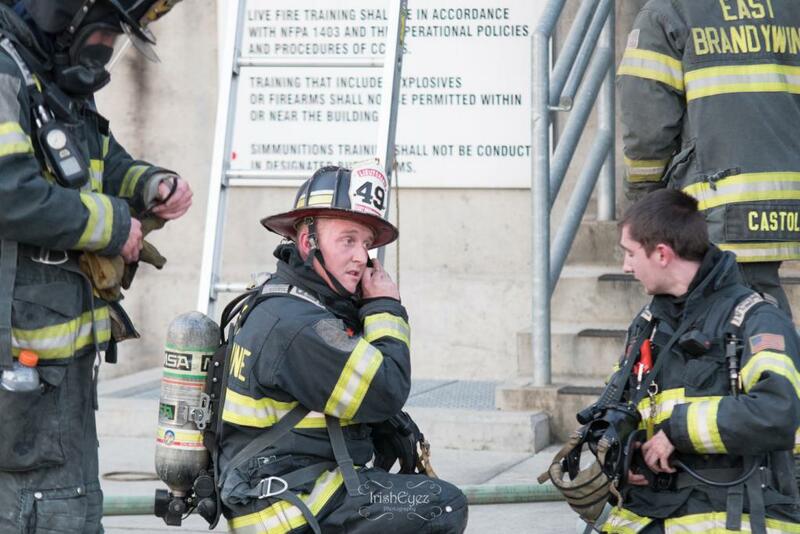 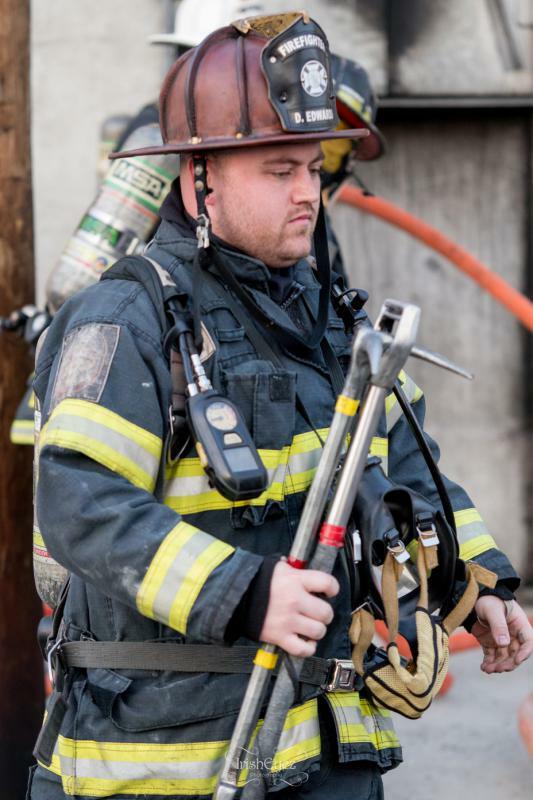 The training was conducted at the Chester County Public Safety Training Campus in South Coatesville, and held in conjunction with the Veterans Affairs Fire Department. 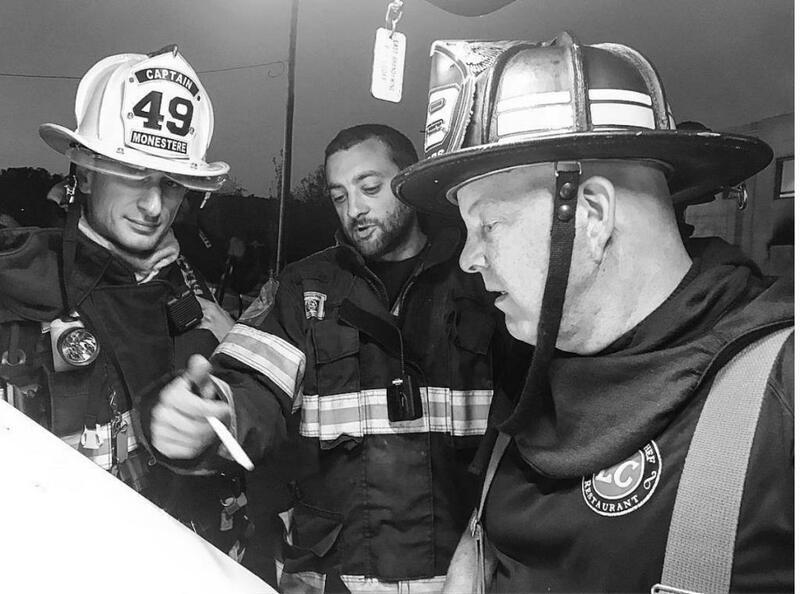 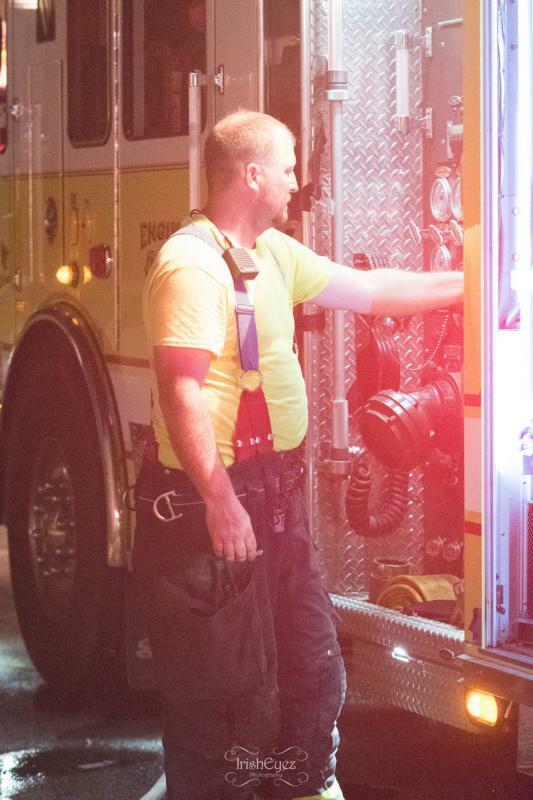 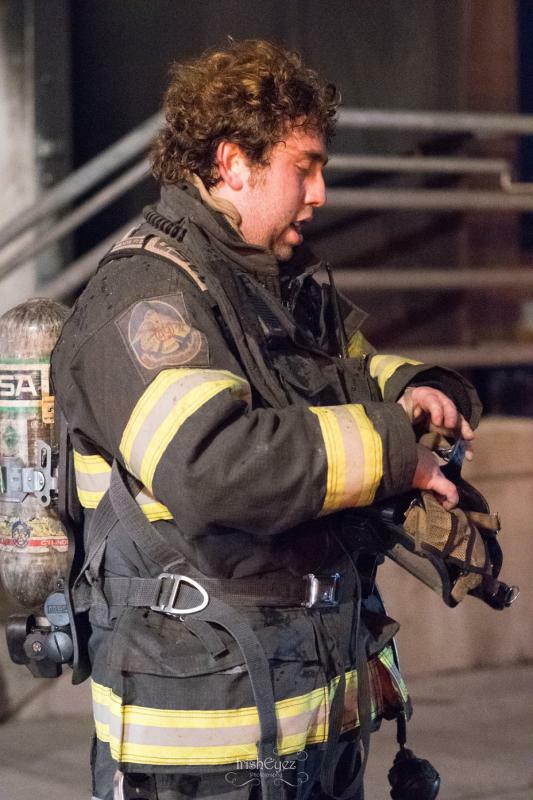 Captain 49 (Groff) facilitated the evening which consisted of 3 fire attack evolution's. 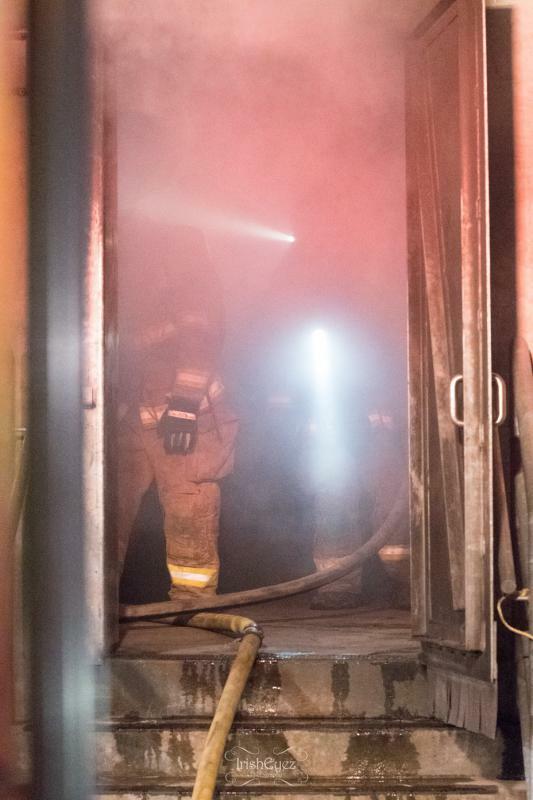 Captain Groff said "I was very pleased with the evening and the way guys worked, everyone was engaged and open to learning ". 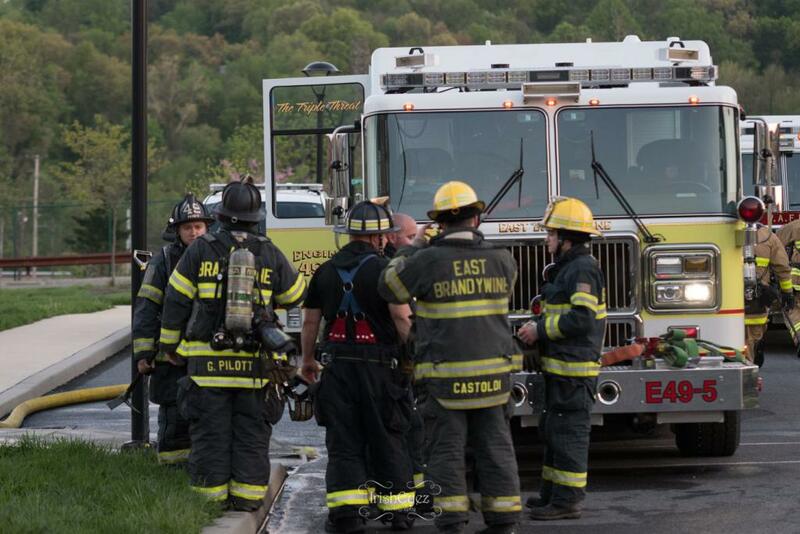 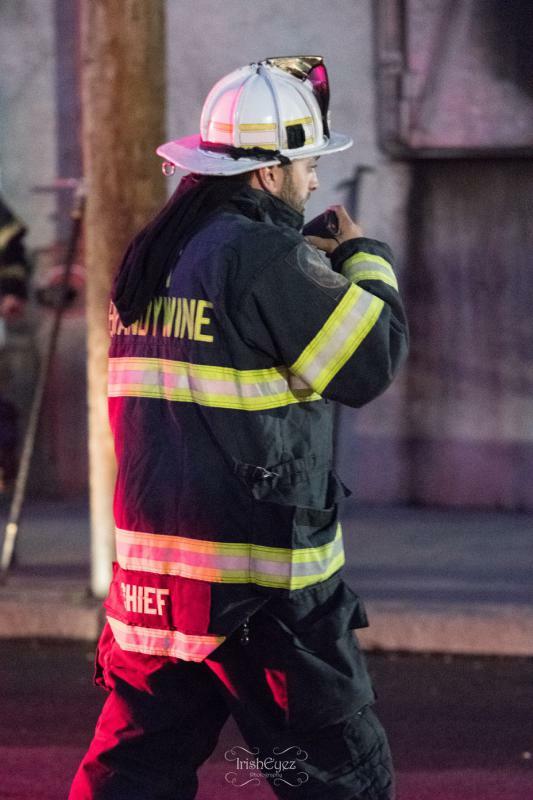 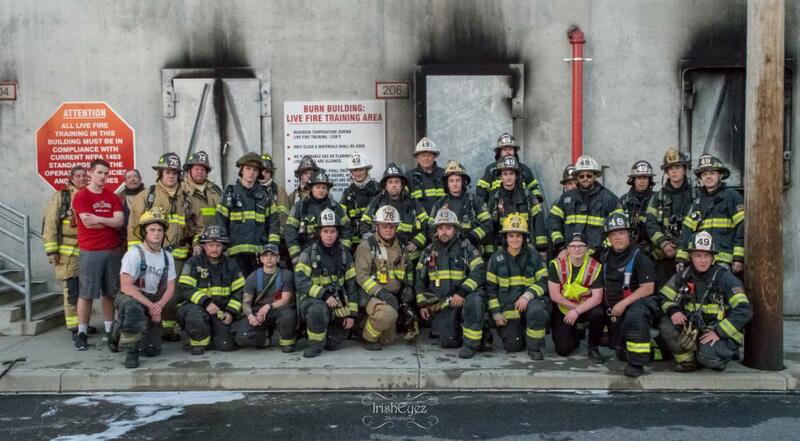 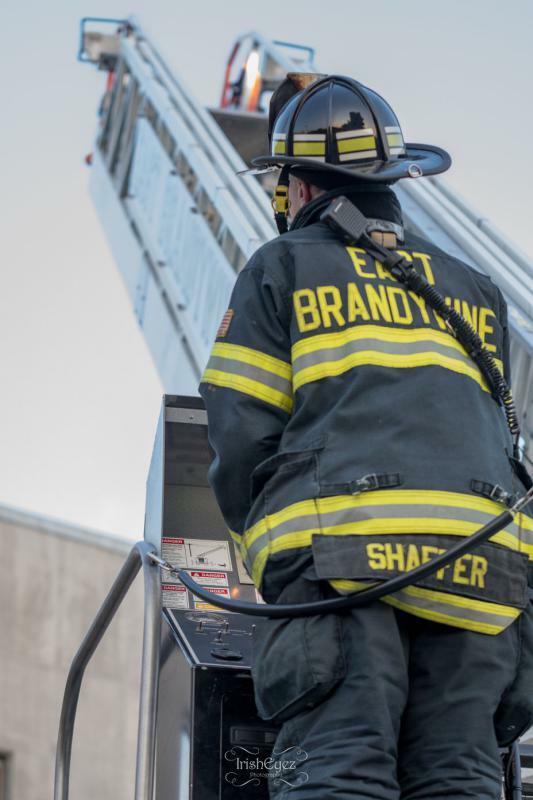 The Officers and Members of East Brandywine Fire Company would like to thank the training staff at the Public Safety Training Center for their assistance with making the night successful. 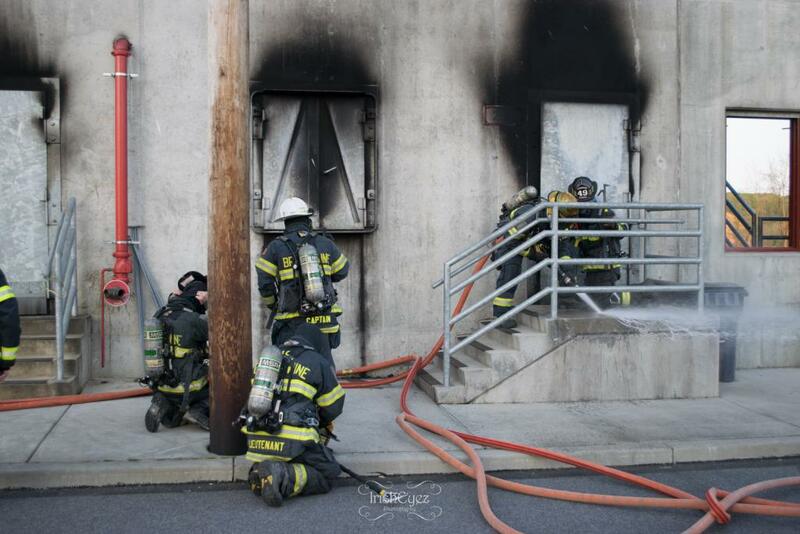 Also special thanks to the Glen Moore Fire Company who covered our terriortory during the training session. 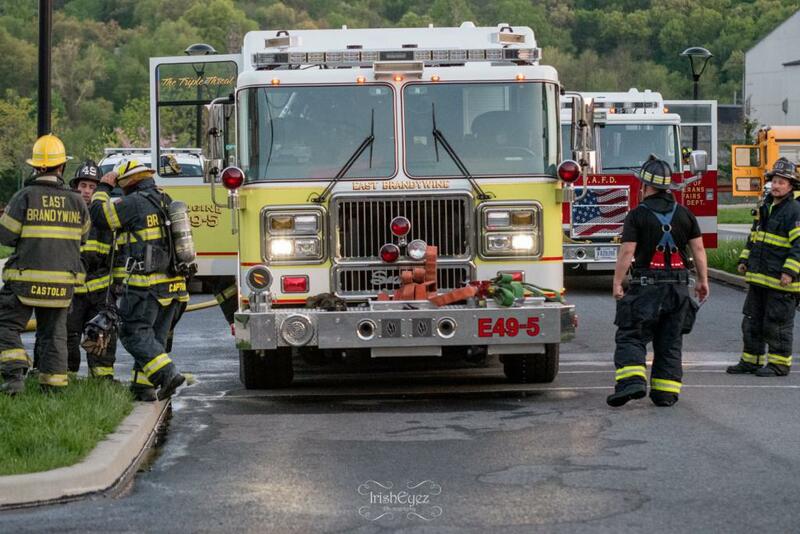 Lastly thank-you to Mark Walsh from Irish Eyez Photography for the great photographs.